By trade, I’m a content creator. My niche is in real estate photography. And the value I want to provide to agents is developing the competitive edge of social media marketing skills that will make’em rockstar real estate agents or brokers. If you could sit down with a social media marketing guru and ask him/her “what can I do to turn my social media accounts into lead generating machines?”, here’s what they would say—and by the way, it’s social media legend, Gary Vaynerchuck and “Million Dollar Listing New York”, Ryan Serhant. These two masterminds, together, answer commission-based agents, real estate and insurance brokers, what they can do to leverage today’s technology of social media and generate leads by living your daily life. You can watch the video starting where the first question takes off, or you can continue reading a synopsis of what the video is about. In short, lose the business profile—for lead gen, that is. It doesn’t matter because people don’t buy your business, they buy YOU. Business profiles help promote sellers’ listings because you’re showing that you’re marketing their property. It ONLY makes sellers happy. This is coming from Gary and Ryan, people who have made millions in real estate and social media marketing. People want to see WHO you are and not WHAT you do. People work with people that they can be friends with AND that’s smart about their niche. How cool would it be to hang out with a friend that can tell you how much your home is worth, when the housing market is prime, or how much your neighbor’s house is worth?! Now that’s a friend! 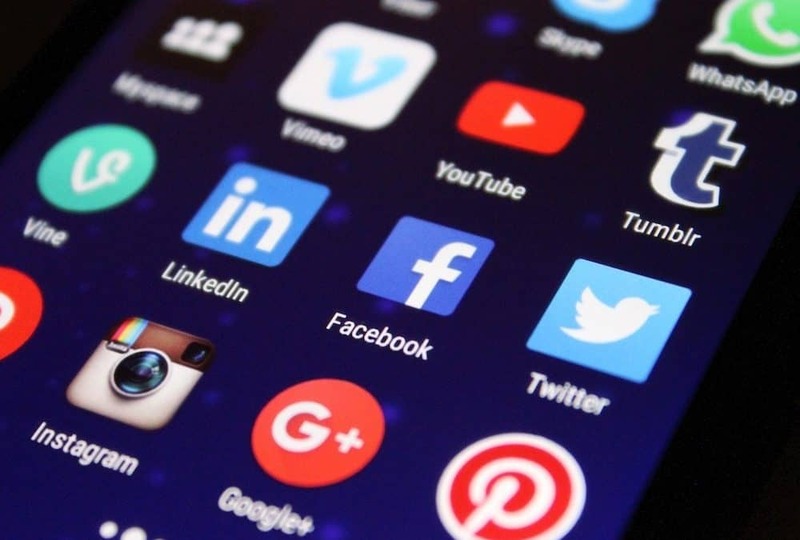 Which Social Media Platforms Should Real Estate Agents Use? It was advised that you put in your email signature three links—Instagram, Facebook, and Youtube. In my opinion, it’s worth adding Google+ since Google favors its own platform, but that’s another article for another time. For the sake of this article, just do what you’re about to learn here for real estate social media marketing. Gary uses instagram stories for “right hooks”. If you were to read his book, “Jab Jab Jab Right Hook”, you’d understand that before you can ask for business, you need to provide value and information to your viewers—the jabs. Your value in instagram is in your regular feed and maybe stories, but your right hooks will be in the stories—your asking for business is the right hook. Don’t just Facebook post your listings and open houses in your social media; when people see that, they ignore it because you’re asking for too much without providing any actual value that they can either act on or share with their friends. Show people who you are because that vulnerability in showing your life, what you do, how you act and who you are is what makes people buy from you. They see you and think “I want to be friends with that person” or “I can relate to what just happened”. It’s a human element that a listing or open house doesn’t offer. Don’t overthink social media; honestly, don’t overthink it. What I mean by that is don’t wait for your hair to be perfectly combed or your lighting to perfectly staged before you turn on the camera, all of that does not matter. What matters is the message and value in the message you bring to the viewer. They are there to be either entertained or educated—which are you doing for them? And just emphasize, it’s YOU that needs to be in front of the camera. People are buying from you and you need to be selling yourself. Don’t underestimate the need of you being in front of the camera. All of these are jabs in wearing them down in order for your next pitch or “right hook” to be accepted—by making them feel OBLIGATED to consider your invitation. When you do make your right hook, make sure you don’t over promise your product, especially starting out. If you’re new and you start off not being able to fulfill your promises, you will taint your entire career. When creating real estate social media content, what should you focus on? Gary and Ryan say to focus on “your truth”. You shouldn’t be afraid of what other people are thinking about you, because when you show your true colors—they’re either good or bad—you’ll attract those types of people. One lady went on to say that when she swears, she gets in trouble. Gary says it’s because she’s listening [to the people around her]. When you listen, you’ll inevitably “get in trouble”—because everyone will always find something about you to dislike. When you don’t care, you’ll begin to focus on the people who want and will follow you. You’ll find that getting that positive attention is intoxicating—especially when people take time to praise what you’ve done for them. Literally, be you and don’t worry about what other people have to say. If you want to share a picture of a coffee you just bought at your favorite coffee shop, share it. People can relate to that. If you have a pet that you absolutely love to spend time with, share it—people relate. If you go bonkers with a crazy awesome feature in a home for sale, share it—people will see the little things that you get excited about. Be you without exception because people buy you for you and not your business. When Starting Out In Real Estate, What Approach Should I Take? This next advice isn’t so much about real estate social media content marketing, but more about the hustle to get on the fast track for success. Don’t give them your business card—instead make sure that they put your information in their phone. Your database is your social currency—you will take that wherever you go throughout your career. If You Have The Money, What Would You Increase, Employees or Social Media Base? Gary says “employees”; employees allow for you to grow your business. Employees give you time to think about how to grow your business. Employees allow your business to keep its walls standing. How Do You Get Employees To Do XYZ? You need to do what you want them to do first and let your results pressure them to do the same thing; once you set the cadence of what needs to be done, hire people that will come in and eat their lunch. Social media video content is a tool that literally anyone with a smartphone can create. Quality is not priority nor is how you look on camera—but it’s the message and VALUE of the message it provides. People buy and choose help over how they feel with certain people. If they don’t feel comfortable with you, they don’t buy from you. You need to be your authentic self on social media and allow your personality to attract those who WANT to follow you. Don’t worry about those who don’t follow you—it’s about casting your net into the sea of social media through WHO YOU ARE, not by how you want the world to PERCEIVE you. Focus on delivering value first, your “you” will emerge over time. Share what’s important to you because what’s important is authentic. It comes down to execution and getting in your “reps”—just repetition of posting on your social media over and over again. Real estate social media marketing is this—you are the agent; you are the content; leverage Instagram, Facebook, and Youtube as the social media platforms; and be yourself.